The iPhone accessory rising storage capacity simply is recently released. This case is named ‘iXPAND MEMORY CASE’ produced by Sandisk which is well-known as a company releasing SD card and external SSD. 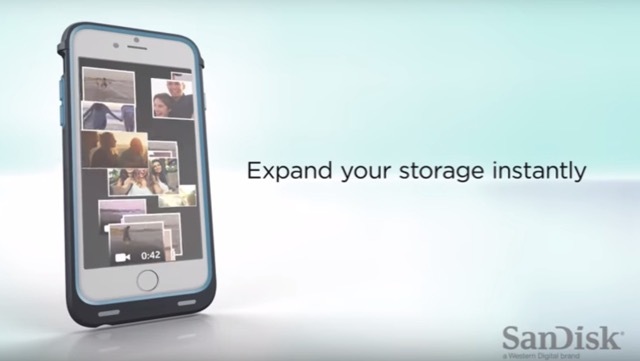 Check it out for those who concern about the capacity due to storing lots of pictures and movies. This newest product is for iPhone 6/6S exclusively. It has 3 types that are 32GB, 64GB and 128GB to choose in accordance with the rest of storage. The upper part of it which can be removed is inserted into iPhone. It seems to set up a bumper. 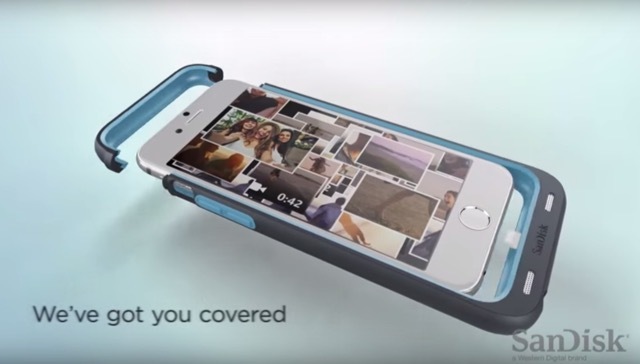 But to put iXPAND MEMORY CASE, you’re able to store other data without erasing your pictures or movies. Additionally, its function is that backups are undergone as synchronizing with applications. Further, the management of data is safer to be protected by passwords. 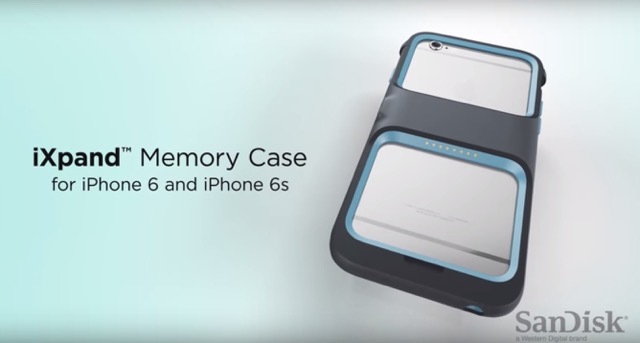 This can set up not only additional memory, but also extra battery. 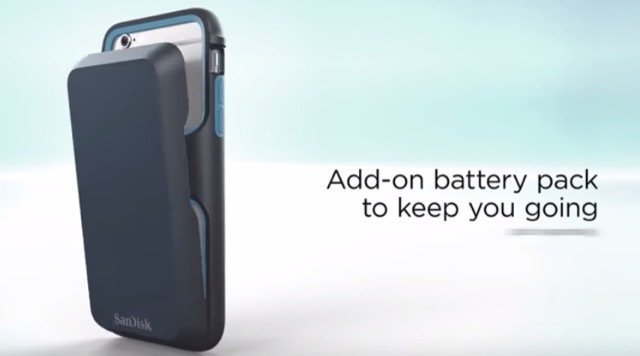 Unfortunately this battery is a optional extra, but it’s quite helpful to add memory and battery when you travel. The majority of consumers realized that either 32GB or 64GB is insufficient after buying iPhone, and then they worry about its capacity. So why don’t you check it out? Astonishing! We no longer bring ‘Selfie Stick’ ―the case which is unified with a selfie stick for iPone6s/ 6s Plus is now on sale― The slim USB drive which is compatible with iPhone is released by SanDisk at last!! The charger which is used for iPhone upright, ‘i-STAND-BY-ME’, makes you convenient on your desk Let’s take a memo everywhere you want by “Phree”! The one of the most popular iPhone cases in Japan now A very small wallet “SWAGgear” will change the concept of wallet! The top five ‘High-Quality Bluetooth Headphones’ recommended by the audio-visual critic Candies and snacks perfect for souvenirs of Japan! VIDEO&RECIPE: How to make Kyaraben dinosaur eggs! Let’s take a memo everywhere you want by “Phree”! An amazingly-updated function of Google Earth: it offers the picture how a city has changed in 32 years!